I think he's wondering what I'm doing hiding behind the door and is deeply offended. 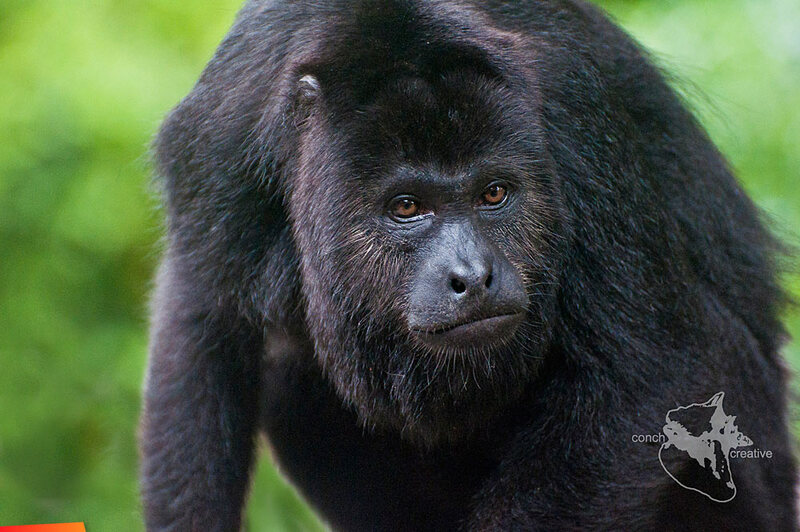 This is true....lol....I almost pooped my pants as he was so close to our cabin at Lamanai Outpost Lodge. A mere 7ft. As soon as I took the pic we both ran back in. it was totally amazing, no cage, no zoo, just the monkey and us. We were hanging out on our deck and a troop of howlers descended upon us. They were in the trees and got closer and closer. We did not expect them to come close, and this one was extremely curious and actually came onto the deck. I will never forget looking at him straight in the eyes. I think I have a photo of him looking at me but I preferred this one. and just to clarify, having dealt with howlers at very close proximity (on my head), I'm very respectful (read terrified) of them in the wild or anywhere else they can get to me. I believe that Howlers belong in the wild. In all fairness, the last time I dealt with a Howler up close it had terrorised people at the resort and eventually ripped shreds out of a poor pregnant woman who had done nothing. I should add that it was a Howler raised by a person, which is totally immoral and illegal and was abandoned following the attack and died a horrible death. Wild animals are meant to be respected from a distance and left to be wild.